Slide the slider to the left and right. 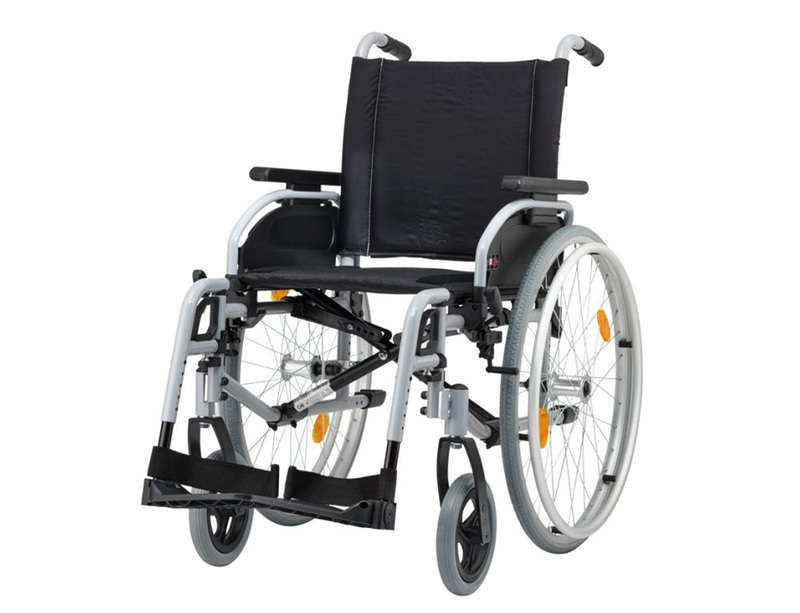 The introduction of the newly revised standard and lightweight wheelchairs from B+B has been launched. Our development department is constantly working to bring the tools we offer up to the state of the art. Especially the revision of the standard and lightweight wheelchairs, which are in daily use, was very important to us. The focus was placed on the compatibility of the models and the standardization of the options. During the development, the customer requests collected by us were taken into account. Below we have listed the most important FAQs. If you have any further questions, you are welcome to contact us personally. When will I get the wheelchairs in a new look? From April 2019, the introduction will begin as a rolling process. Why did I receive a mixed palette? During the introduction, you may get the revised and the previous models as a mixed palette, since our system proceeds according to “first in first out”. Can I specify in my order that I only want the 2019 series? Unfortunately this is not possible during the transition phase. Will I continue to receive spare parts from previous models? Of course you can still order spare parts for the previous models from us. Which models have been changed? Do old attachments (e.g. leg support) also fit the new wheelchairs? Yes. Attachments such as leg support, side panels, push handles etc. are compatible. However, it is advisable to replace the parts in pairs, as the parts differ visually.